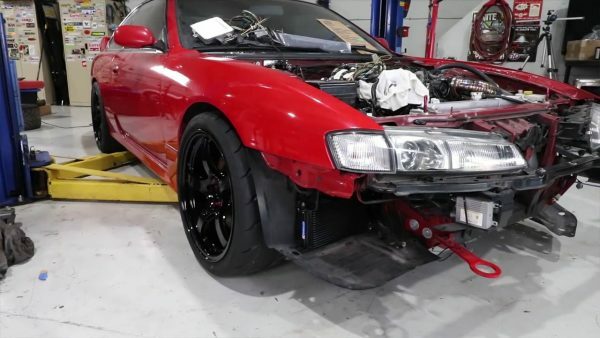 Speed Academy is back with an update video on their Nissan 240SX S14. The project’s goal is install a 2.4 L K24 inline-four with a BMW ZF five-speed manual transmission and the necessary changes that go with it. In this episode the team installs a Xcessive custom driveshaft, wheels/tires, and custom wiring harness before starting the engine for the first time.